We play at FanDuel.com every year and at least one other site for comparison. Why FanDuel? They are the largest fantasy sports site on the market today. We’ve played there for two years. They are reputable, legit and trustworthy. They pay out lightning fast, have tons of leagues and contest to enter, offer excellent bonuses and rewards. We also like their NFL fantasy scoring system. Fan Duel is now offering a sweet deposit bonus and many real money fantasy football contests to choose from all season long. To receive maximum bonuses and give yourself the best chances of winning cash, then use our fanduel code listed below. For the past three years, 2011 & 2012, and 2013 we’ve played in fantasy football leagues at Fan Duel and other daily fantasy sites including Daily Joust, Draft Street, and Draft Day and last year we tried DraftKings. Until last year, FanDuel.com has been the hands down winner in the head-to-head competition. We play at each site, every week and judge our experiences. It’s now 2014, and we have FanDuel and DraftKings as our #1 & 2 choices choice for one-week fantasy football leagues. 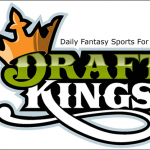 So, earlier this year we decided to only play at DraftKings for the 2014 season. The experience at the other sites just isn’t the same. We finally think we found a worthy fantasy site. That choice is DraftKings.com. At the end of the year we’ll decide who will be the #1 pick for 2014. I just signed up for my account, deposited some cash through paypal and currently getting familiar with the site. Stay tuned for the Draft Kings review. 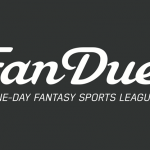 One-week fantasy sites like FanDuel and DraftKings started developing the one week and one day fantasy competitions. The founders of the ‘Freak’, Fuller and Spry, compete head-to-head each week at FanDuel (the $5 leagues) and DraftKings (the $2 leagues). We compete in the contests like normal players, however we also are competing in our own league that tracks our scores (Total League Points ($50) and Total League Wins ($50)) overall and for each site, the entire 2013 NFL fantasy football season. If you want to join us, check here or our twitter feed (@WinFantasy) to see which contests we are playing in each week. Then check out the The FREAK League leaderboards. Read the first person reviews of each fantasy football website that you can play in daily and weekly leagues and contests for cash / real money. When you click on the link to join, say, FanDuel.com be sure to use the FanDuel codes to get maximum bonuses. Which weekly fantasy football sites do we play at? 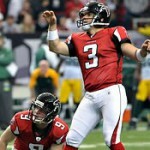 FantasyFootballFreak.com was launched in 2012 by Brad Fuller and Jason Spry. We created a place where people learn about playing real money weekly fantasy football, aka daily fantasy football. We both enjoy playing fantasy football. And of course we both have a friendly competition with one another to see who does the best. However neither of us loved the idea of focusing on a season long team that we manicured, pruned and managed like a true fantasy football owner needs to do to remain competitive. Instead, we turned to the daily fantasy football sites. We started playing and competing there. We keep score over the course of the entire season but we each pick fresh teams every week. We also decided to write about our experiences at the websites we play at. We review and compare them and tell you what you can expect about playing there. determine head to head winners, then calculating standings and awards. A lot of manual work to administer the league. Luckily these days, everything is online and calculated for you. And the games have advanced as well. Now along with my traditional yearly fantasy football league, I also participate in weekly fantasy football contests. As explained above, each week I can pick new players and assemble new teams to win more cash on a weekly basis! My fantasy football strategy is to soak up as much information each week to determine which players are the best value plays at each respective position and how each weekly fantasy site values those players in their salary cap pool. To see more of my strategy and the tools I use, view the fantasy football tips page. I also play at each of these sites in our year-long-one-week fantasy football league called the NFL FREAK League. We also host a league for a local bar poker league we founded in Atlanta in 2004. It’s call the APC Fantasy League. focusing on building my team, adding and dropping players, making trades and everything that went into being competitive. It was not until 2011 that I learned of the daily, or in the case of football, weekly fantasy games that only last that particular week and then start completely over that I found a way to really enjoy playing again. I can pick my team, root them on each week and start fresh next week and be competitive. My biggest accomplishment to date was winning the most points earned in any NFL team over at DailyJoust in 2012 and more recently I have made a few nice cashes in the weekly fantasy PGA leagues. 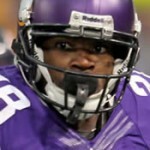 FantasyFootballFreak.com was established to document, review and compete in weekly fantasy football money leagues.